Help middle school learners make choices for life! The middle school years are full of choices. 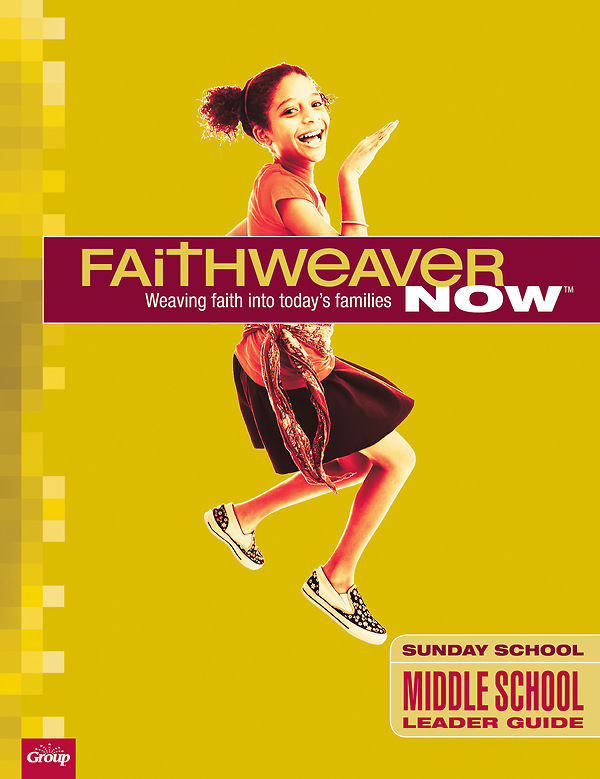 FaithWeaver NOW helps your middle school learners make real-life choices as they face life's big adventure. FaithWeaver NOW Middle School Leader Guide equips you to lead this age level. Because choice is so important to this age group, resources include options for learners to select which activity—called "Adventures"—they would like to do as part of their Bible study. The "Adventures" include activities that meet the needs of different learning styles and interests: drama, writing, music, art, discussion, and more. Directions for these student-led "Adventures" are included in the Student Book. You’ll also have access to a FREE digital copy of this Teacher Guide in Word and PDF format. You can customize the Word documents so that any lesson fits the needs of your ministry. Sharing lessons with busy volunteers couldn’t be easier! Pre-Order This Title Order now, item will be available on 6/1/2019.